I’ve worked at RONIN for just over a month now. I studied English literature at uni and then worked in a few different roles, but I’ve always loved social media and creating online content. Before RONIN I worked at a printing company managing their marketing. All things social media… including creating posts, planning and scheduling as well as engaging with online communities. I’ve also written a couple of blog posts and been involved in team meetings. I enjoy the diversity of creating content for different clients. I’ve learnt a lot about different industries already. Definitely Instagram. I like how it’s a visual platform and the stories feature is great. I love travelling. I took a year off in 2015 to travel around Australia, Indonesia and Fiji and had the best time but it was quite exhausting. Now I much prefer squeezing in a few weekend trips to Europe throughout the year. Maybe Anna Kendrick? We are of a similar stature. Even though I have a vivid imagination and even the silliest thing can keep me awake at night, I really love horror films. 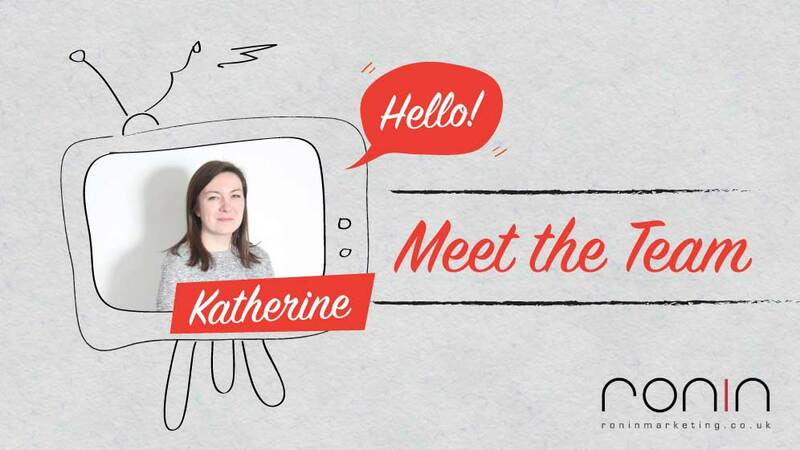 Say hello to Katherine via our social media! Find us on; Facebook, Twitter, LinkedIn and Instagram. If you’d like to have a nosy at the rest of the RONIN team, you can find us all here.